As a real estate agent, how often have you put your buyer and a great property together at the right price, only to find out that they are having trouble qualifying for a mortgage? Well, here’s some information that may help. The largest wholesale lender in the country has a product called “Pay Advantage” that will lend up to 95% LTV with no monthly mortgage insurance (commonly called M.I.). That’s a big deal, as a $190,000 FHA loan on a $200,000 purchase would require an extra $200+/mo for that M.I. – for the life of the loan! Not only would your buyer be paying an extra $2,500 a year, but they would not even qualify for an FHA loan, unless the property will be their primary residence. Second homes in Florida (or anywhere else) do not qualify for an FHA loan, but they do qualify for a Pay Advantage loan. Of course, that extra $200+/mo also adds some drag on the debt-to-income (DTI) ratio that cannot be exceeded for loan approval. Now let’s consider the source of your buyer’s down payment for that 95% LTV. 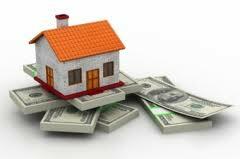 In most cases, all down payment and closing costs must be sourced from the borrower’s own funds. Believe me, the underwriters will pursue documentation that verifies those sources – bank accounts, investment accounts and the like. Underwriters will question the source of any major deposits made in the last 60 days and will require a “paper trail” that accounts for any such deposits. Well, this same lender has a 100% Gift Program that permits the borrower to use a “gift” of funds for the entire down payment, as well as closing costs! That means parents or other friends and relatives can “gift” the money to cover those costs, allowing your buyer to get a mortgage with virtually no out-of-pocket cash. I’m really beginning to like this lender! Now add in closing times of 23 days, on average, in order to meet or beat your contract dates. When you put all these advantages together, that can mean more closed deals, higher commissions and faster closings! Want to know more? Just give me a call.